Let's say, you are selling Shoes in your store. You wanted to provide discount only for a few selected Shoes. Buy 6 to 10 quantity (any variant), get 3% discount. Customer can "mix and match" the variants of the product. Example: Customer can buy 2 Small, 2 Medium and 2 Large. This will enable the customer to receive 3% discount for 6 qty. 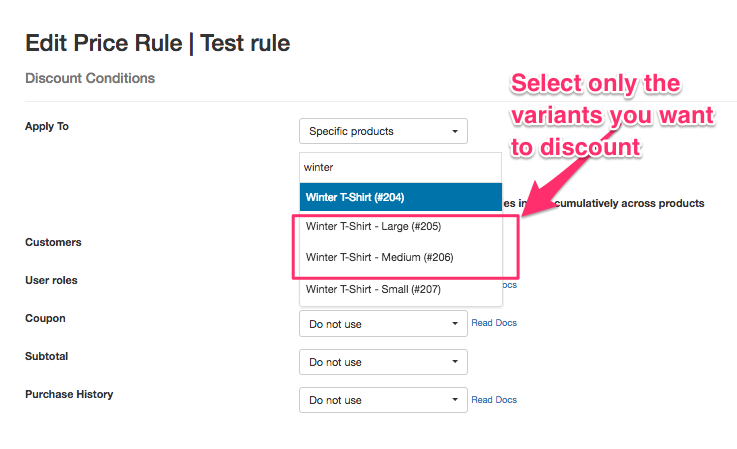 NOTE: WooCommerce treats each variant as an individual product itself. 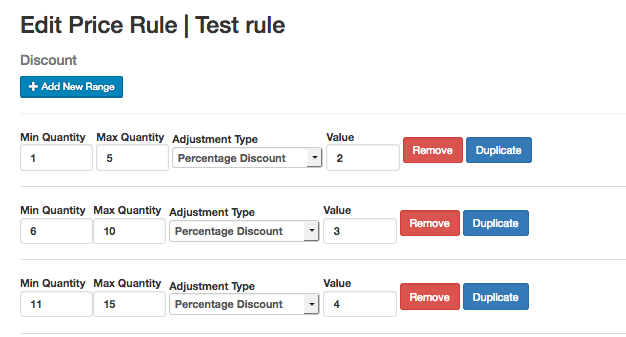 So before you start creating the rules configuration, you need to instruct the plugin to automatically include the variants when just their parent products are selected. 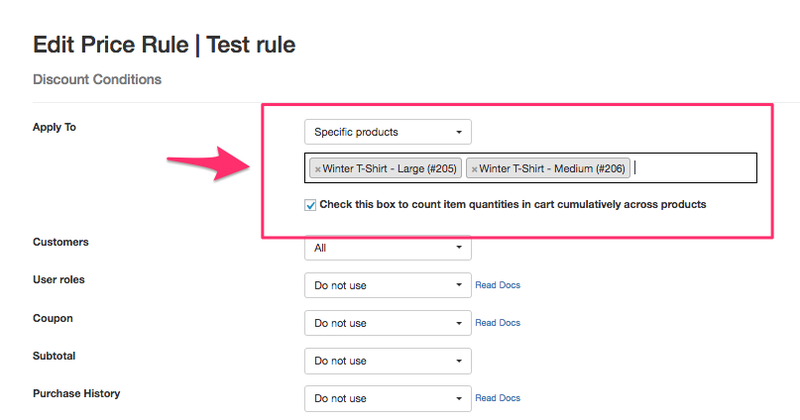 Set the field "Include variants when just parent product is chosen in the rules" to YES and Save. 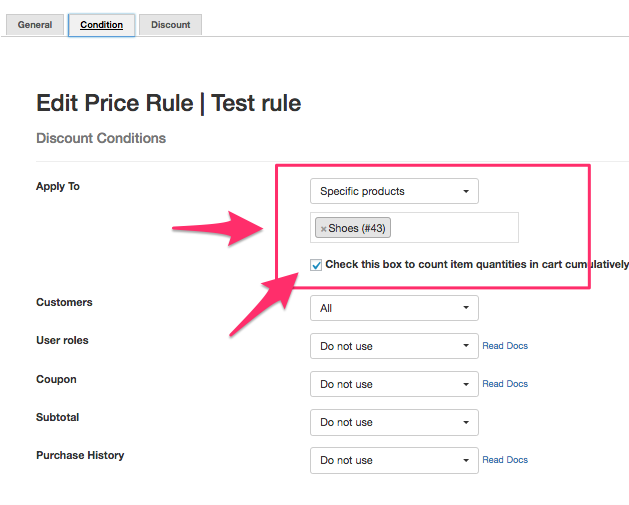 Choose the method "Quantity / category / product / user role based discount"
This is fairly simple. You can create a percentage or a fixed amount discount. But the discount only applies to Medium and Large variants. Buy Medium or Large variant, get 10% discount. No discount for small variant. 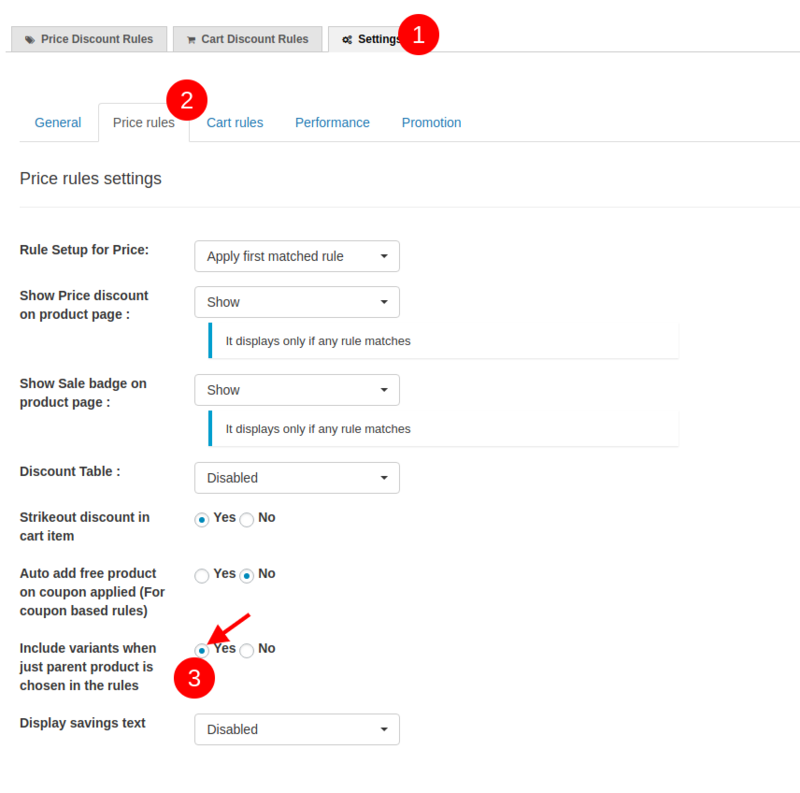 Start creating the rule by going to WooCommerce -> Woo Discount Rules -> Price based discount Rule. Set the Apply For as " Specific Products"
Start typing the product name. You will see a drop down with the variants. Just select the variants you wanted to discount. For this example, they will be "Medium and Large variants"
1. 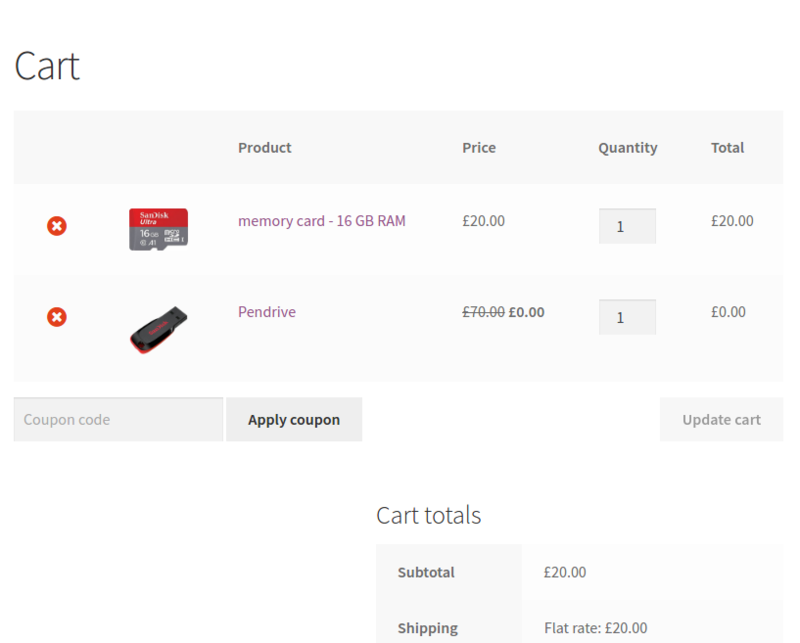 How to provide "Buy Variant A and get another product free"
Here is a screenshot of a the cart page with an example: Buy 16 gb memory cart, get pen drive free"